With a new year at hand, my incorrigible sense of optimism is asserting itself. I believe that, in spite of everything, all is not lost, in the world of public media. My alma mater, CBC is going through an oft-repeated exercise to reinvigorate the news departments in both radio and television. The head of CBC News programming is Jennifer McGuire. She recently sent an all staff memo asking for input into a process that will result in significant changes to the two most important news programs: "World Report" on CBC Radio and "The National" on CBC TV. What is Program Development at CBC News? This is where (we hope!) the fun part begins. who work here. Now we need to make it all come to life. We have the direction. programming and brings all of this "think" work to life. What we do best. where they come from will be pushed forward. will be different. We will soon be publishing development guides that will spell out the individual processes and how you can get involved. program or segment, to make a connection with audiences. country. We need to change that. CBC News is a service for all Canadians. will have the time to percolate some ideas and begin putting them to paper. our programs and, of course, for fully-fledged programs. will spell out the specific criteria and how decisions will get made. next year with a launch date of Fall 2009.
line at newsrenewal@cbc.ca. We promise to get back to you. I wish McGuire well. There's nothing wrong with ensuring that public broadcasting news and information is regularly reinvigorated. What concerns many inside CBC News is how resources from news have been moved to other parts of the organization, especially to non-news television departments, where the stated goal is to have the largest mass audiences possible by heavy investments in what is dubbed "reality entertainment." The fear is that CBC News will just end up doing "entertaining reality." Israel Smith and Deborah Blakeley are consultants who work with public radio. They have authored an important study called "Grow The Audience for Public Radio". 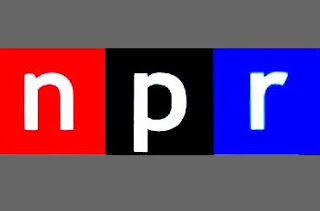 While you're at it, look at an adjacent article entitled " Five Tenets for Public Radio's Future." It's by Bill Buzenberg, executive director of the Center for Public Integrity in Washington, DC. He is a former head of news at NPR and at Minnesota Public Radio. Articles like these leave me more optimistic. It reinforces the urgent need for high quality and reliable news and information as can only be provided by public broadcasting. Especially now. McGuire's note, on the other hand, leaves me less certain. On that note, a happy and hopeful '09 to all.